Scientists in England recently discovered a fascinating technique that flowers use to communicate with bees. 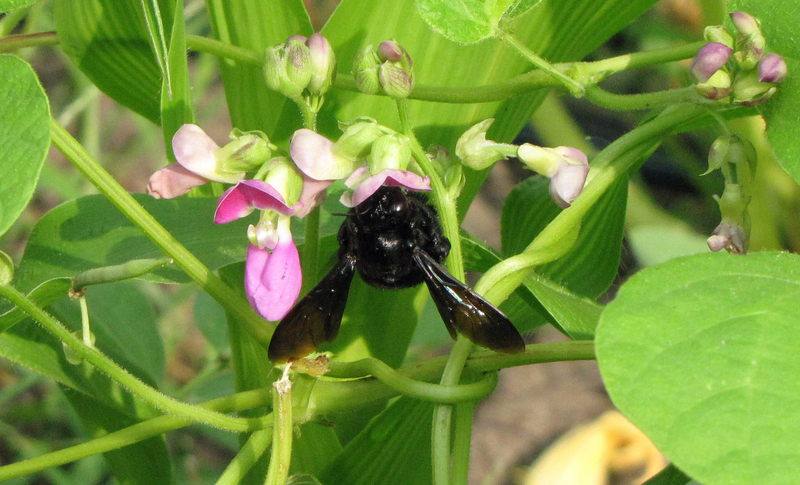 Flowers use electric fields to let bees know which flowers to land on, and which flowers to pass by. Here’s how it works: As a bee flies around the garden, dust and other particles in the air strip electrons from the surface of the bee. This friction gives the bee a positive electrical charge. Flowers, on the other hand, in their wind-swaying stillness, have a negative charge. 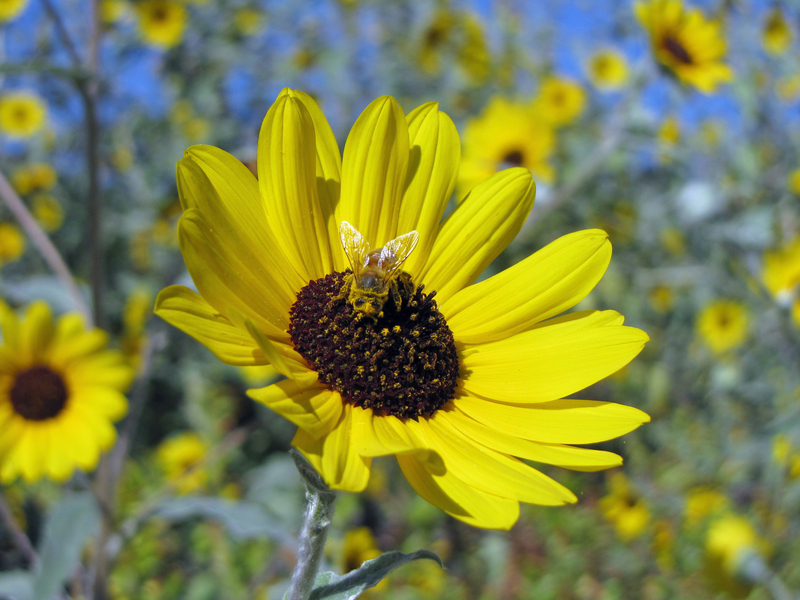 When a bee lands on a flower, the flower instantly takes on the positive charge of the bee. After the bee pollinates the flower and flies away, the flower retains this positive charge for another ninety seconds or so. The bees that follow sense this positive charge and understand that this particular flower has recently been pollinated. The bees move on to find flowers with a negative charge that have more nectar and more pollen to offer. A bee may visit up to 5,000 flowers in a single day. 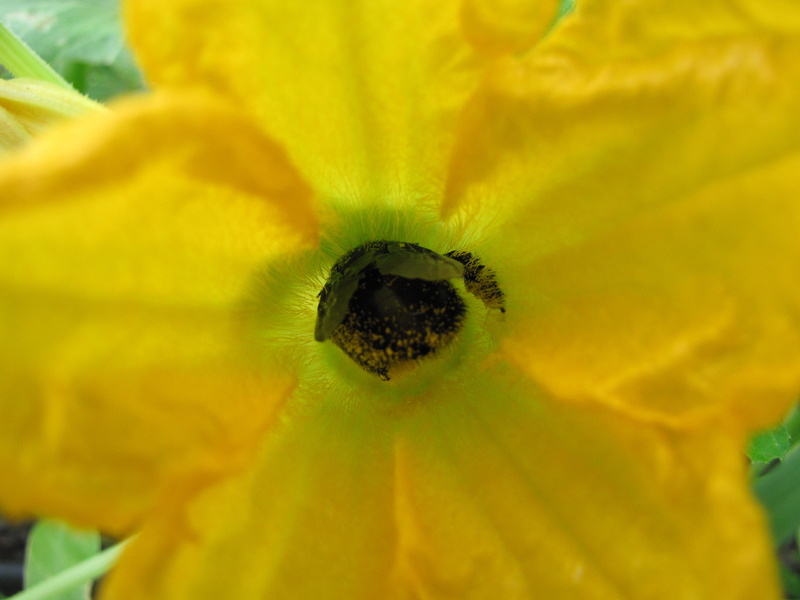 Plants need bees to spread this contact across the greatest number of flowers to ensure maximum pollination. And the electric fields of flowers help bees organize their work. Flowers use rich colors to attract bees, soft and sticky textures, symmetrical shapes, heady perfumes, and even ultra-violet light to draw bees into the flower. Plants literally train bees to seek out their flowers when the nectar is at its peak of sweetness–the perfect moment for pollination. 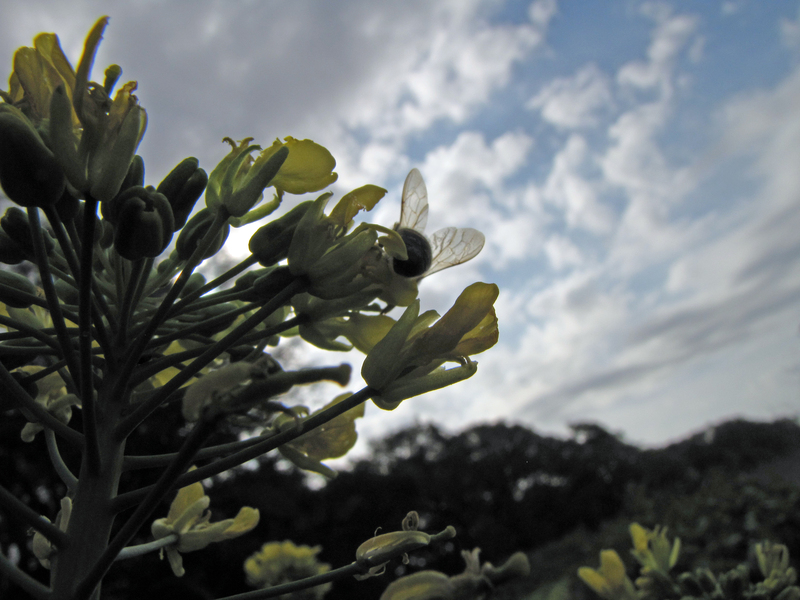 The flowers themselves must all bloom simultaneously to make this work; to capture and hold the attention of the bees. The flowers are guided through their flowering by precise changes in soil temperature, rainfall, and sunshine; and the changes in sun and rain are compelled by even greater forces. Beneath the seemingly erratic flight of bees, there is a grand design at work. Every part of the garden is linked to all the other parts in a complex network of relationships–and the gardener is an important part of this network. 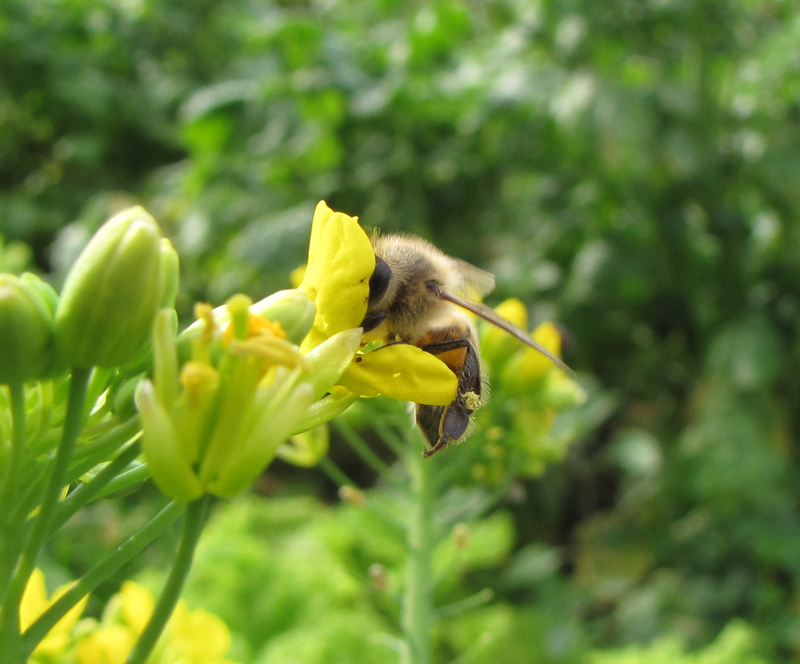 To attract bees to your garden, generously plant flowers among your vegetables. Nasturtiums, marigolds, Queen Anne’s lace, cosmos, and sunflowers are all great companions to vegetable crops. Bees especially love the flavor of herbs: plant basil, dill, and cilantro in between your vegetable plants and let them go to flower. And the best plant of all to attract bees is blue borage, with its little blue flowers shaped like stars. Flowers bring successive waves of color and fragrance to your vegetable garden. The flowers are beautiful, and for bees, the flowers are electric: they turn off and on like lights to guide bees through the pollination of your garden. You well written articles never cease to amaze me and continue to blow me away. Thank you the time you take to compose the enlightenment. I did not know that! Thanks for sharing your wisdom. That’s very interesting. Thank you Sylvia! I love that scientists continue to reveal new fascinating truths about nature! Have a wonderful day!